One of my favorite features of the iPhone X is the ability to record and send animated Animoji (3D emojis) that mirror your facial expressions and voice. This is an ingenious idea, and I think this is one of the reasons why Apple was so proud of it and gave so much attention to it. Let me tell you, I really like the hardware, but I search for the software to make a difference. At the end of the day, I love my laptop computer, but it worth nothing without the great applications that I use with it. The same goes with the iPhone X, it comes with great hardware, but I really want to see some innovation on the software side, and I think Apple did just that with the Animoji. Emojis are already used by millions to communicate and share one's emotions with other people. Emojis have evolved over the years and now faster bandwidth and higher screen resolutions allow for more expressive emojis to be used. Apple took those ideograms and smileys to the next level. By saying "next level", i mean, really two generations forward compared to current messaging apps. The iPhone X uses a built-in facial recognition technology using depth-sensing camera and sensors to map more than 50 facial muscles and create lifelike characters that mimic almost your exact facial expressions and lip movement. Cartoon characters were always fun to watch, especially when messaging each other. When you write a message to a friend, you have the option to add an Animoji character. The option to use the Animoji tool is available in the iMessage feature and users can just drop an Animoji directly into the chat. This Animoji features is brand new and is part of the iOS 11 messaging app, but it's currently only supported in the iPhone X. The reason for that is because the iPhone X uses a TrueDepth camera alongside other sensors at the front of the phone to analyze your muscle movement and produce those adorable animojis. Animojis characters isn't a new idea. In fact, I've been using software that can produce 3D animated characters with lip syncing many years ago, but I never saw an integrated solution like that in a mobile messaging applications, and especially not one that can analyze facial expressions, as dedicated hardware is needed to achieve this. 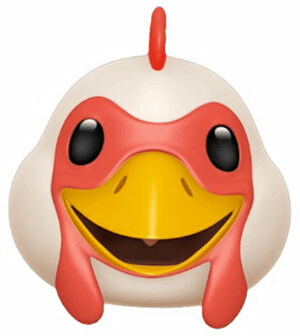 Users can choose a character that they want their facial expressions to be assigned to and record an Animoji and preview it before submitting it to the chat. There are dozen of different characters to choose from, including a pig, alien, rabbit, unicorn poo, panda bear, monkey, fox, cat, dog and I'm sure many others will be added on an ongoing basis in the near future. This is by far the most fun and expressive way to interact in a social messaging app. Another great thing about those Animoji feature is that each characters adds its own unique body part animations, like ear, tongue or nose movement and it's really fun to watch. It adds more character to the animoji because those are parts that you can animate yourself because you obviously can't move your ears, forehead or nose as some of those animals do. Of course your voice is included as well with the animoji, and all that is sent as an embedded video within messages. I've read on the web that some people were actually disappointed to see that this feature got so much attention and that suggests that Apple really doesn't have anything innovative in its sleeves. I disagree with that completely. I think that most of the things we do with out phone is text messaging and photos sharing and I think this is exactly the area where phone manufacturers should innovate. This is a feature that millions will be using on a daily basis and many times during the day. I never had enough of putting smileys when texting and I'm sure that with the iPhone X I am going to enjoy that even more. It really shows us what the iPhone X unique hardware components are capable of and how they are used to enhance and improve the way we are communicating with each other.